Rapper Nicki Minaj attends the 2015 MTV Video Music Awards at Microsoft Theater on August 30, 2015 in Los Angeles, California. 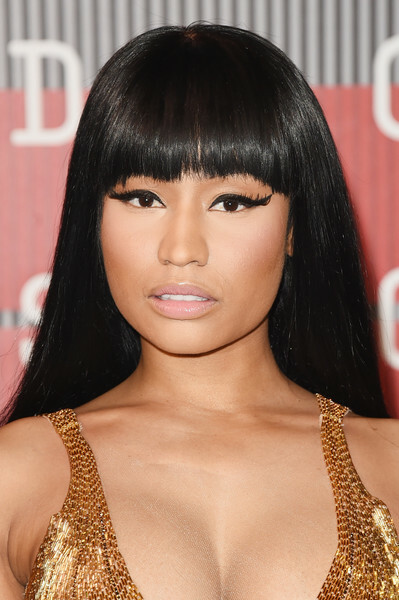 Nicki Minaj contrasted her elaborate eye makeup with barely-there pink lipstick. Nicki Minaj channeled Cleopatra with these blunt bangs at the MTV VMAs. Nicki Minaj's cat eyes amped up the exotic feel.